I'm David Skidmore, a Lyme sufferer and creator of Lyme Loonies. I know that there are lots of Lyme patients out there dealing with the misery, multi-symptoms and mystery of Lyme. Something else I know is that a daily dose of comedy can bring laughter and hope to those suffering. 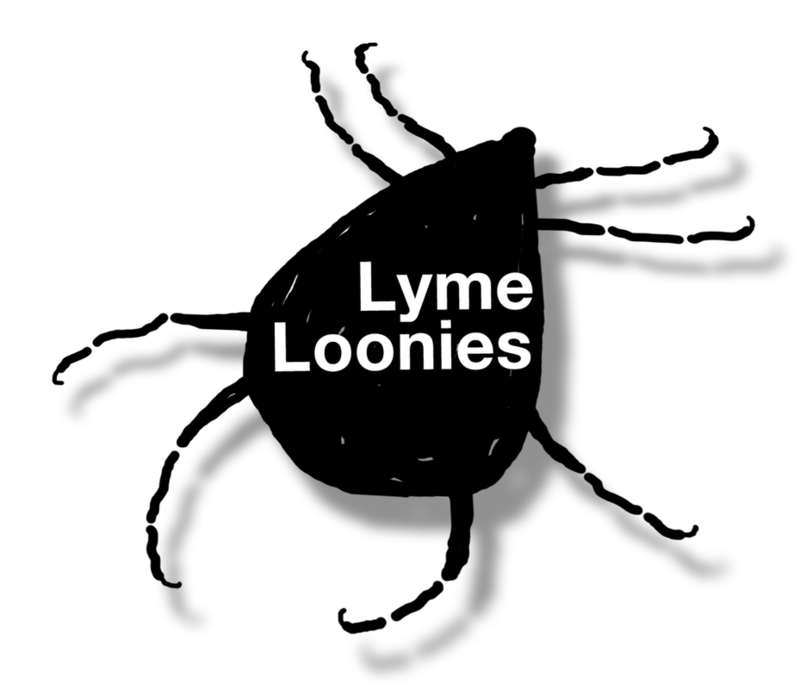 Lyme Loonies is a series of cartoons that capture Lyme patients at their most vulnerable and desperate while hanging on to their sense of humor. The cartoons are my way of expressing hope, humor, politics, and, yes, even revolt at the tug-of-war in which we find ourselves regarding funding, diagnosis, treatment, education, a cure, prevention and public apathy. I’m just writing and drawing about Lyme disease as I see it, hear it, and feel it. For almost five years, I have had the disease, every co-infection, and major neurological complications. Yes - I have all the goodies! Let me stress that Lyme Loonies is not about making fun of those inflicted with the disease. I know first-hand the pain, suffering and confusion that Lyme can cause. Lyme Loonies was born when I first started creating the cartoons and pondered over a name for the series. Well, it just so happened that I read an article about a well-known doctor who was stepping down as head of research on Lyme with a federal organization. As he was bidding goodbye, he wrote a colleague, “I will certainly miss all of you people - the scientists, but not the Lyme loonies.” …Bingo! I thought, "Here is a doctor of significant power and influence regarding the current and future state of our health, a man who took the Hippocratic Oath to honor the profession of medicine and, specifically, to cause no harm." As I see it, this particular's doctor's use of Lyme loonies was disparaging and caused a lot of harm both emotionally and scientifically. But hey, as a Lyme patient I thought, "Wouldn't it make sense that our community embraces Lyme Loonies?" That was the remark that launched the Lyme Loonies cartoons. He will see that name and know that we will not be diminished by a flippant phrase. We have embraced it as ours! Lyme disease is controversial. No matter what side of the fence you’re on regarding Lyme disease, treatment, co-infections and chronic Lyme, I create cartoons in the spirit that we are human beings with families, co-workers and friends, and many of us are holding on as best we can. So, please don't make fun of us. Help us. Life is Either a Comedy or a Tragedy. Lyme Loonies is a Little Bit of Both!